Radiation damage, and its consequence to material properties, is a central issue in many advanced technologies, from nuclear fuel performance to lifetime extension in currently operating nuclear light water reactors to the future development of advanced fission and fusion power plants. Irradiation effects are initiated by the violent displacement of atoms from their lattice sites due to the fission process or neutron scattering events, and ultimately determined by the diffusional transport and fate of the point defects and their clusters, along with the re-distribution of solutes and impurities. This presentation will first introduce the inherently multiscale nature of irradiation effects in materials and then describe a multiscale research paradigm based on close integration of materials modeling and advanced experimental characterization required to better understand irradiation effects. Select results will be presented from a hierarchical modeling approach that is closely compared with experimental measurements, which highlight recent improvements in understanding materials degradation in nuclear environments. In particular, results will presented that provide the evolution of irradiation-induced defect clusters and dislocation loops observed in thin-film, ion irradiated molybdenum. Finally, a number of outstanding research opportunities associated with nuclear fuel performance will be discussed, as well as introducing a pragmatic, engineering-oriented approach to simulating the three-dimensional nature and coupled physical phenomena associated with nuclear fuel performance. 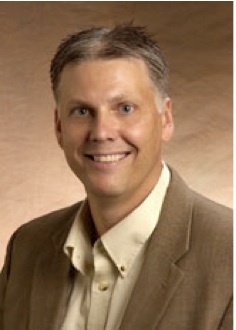 Brian Wirth is Professor and Governor’s Chair of Computational Nuclear in the Department of Nuclear Engineering at the University of Tennessee, Knoxville, which he joined in July 2010. Brian received a BS in nuclear engineering from the Georgia Institute of Technology in 1992 and a PhD in mechanical engineering from the University of California, Santa Barbara in 1998, where he was a Department of Energy Nuclear Engineering Graduate Fellow. In 2002 he joined the faculty at the University of California, Berkeley as an Assistant Professor of Nuclear Engineering, following several years in the High Performance Computational Materials Science Group at Lawrence Livermore National Laboratory, and was promoted to Associate Professor in 2006. His research interests involve using multiscale modeling and advanced microstructural characterization techniques to develop improved understanding and models of microstructure - property relationships and microstructural evolution during processing and service in hostile environments, with an emphasis on irradiation effects; and to use this knowledge as a basis for developing advanced materials. He has received a number of awards, including the 2007 Fusion Power Associates David J. Rose Excellence in Fusion Engineering Award, the 2003 Presidential Early Career Award for Scientists and Engineers (PECASE), a Graduate Student Gold Medal award from the Materials Research Society, and the Outstanding Scholastic Achievement Award as the top graduate of the Nuclear Engineering and Health Physics Program in 1992 at the Georgia Institute of Technology.